I have wanted a leather jacket for the longest time, but just can't find one that has all the qualities one must posess to make me a happy girl. They either have too much bling (ie: straps, studs, zippers, etc.) or look too biker and masculine. I want a simple, timeless design that will last me a lifetime. I have no problem dropping some big dollars on a leather jacket. So... it must. be. perfect. Here are some that I'm considering. 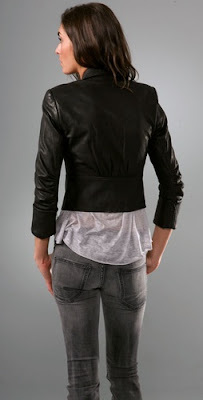 This is my favorite, it's the Harlow leather jacket from Nicole Richie's new line, Winter Kate and can be found here. 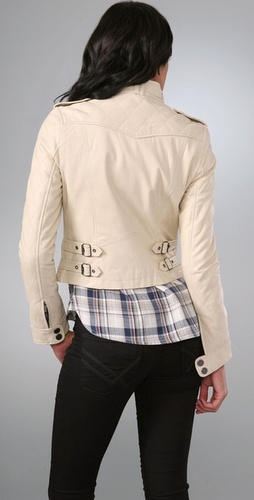 This one is the Harley Moto Jacket by Alice + Olivia. I really do like it, but it doesn't zip all the way up making it kind of impractical during the colder months. Nothing a cozy scarf can't fix! Here's where you can get it. This one from J.Crew is gorgeous, but at $1,395, it might be a little more than I'm willing to spend. Here's the link. If I wasn't hell bent on getting a black jacket (just due to versatility) I'd totally go for this one by William Rast. Get it here. Hi. 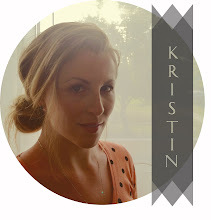 I'm Kristin and I live in Melbourne. This space is where I share my love of creating. Interiors, furniture and food, mostly. But also my adventures as a Canadian expat exploring an incredible Australian city. Welcome.